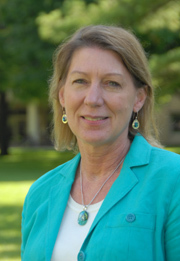 Katherine A. Taylor has been named director of operations for the University of Notre Dame’s Eck Institute for Global Health, a world-renowned collaborative research program focused on infectious diseases that impact the poor around the world. Prior to her appointment, Taylor served as chief of the Drug Development Section of the National Institute of Allergy and Infectious Diseases (NIAID) Office of Biodefense Research Affairs. She also has held positions with the U.S. Centers for Disease Control and the International Livestock Research Institute, both in Nairobi, Kenya. Taylor earned her bachelor’s degree from Purdue University, her master’s degree from Notre Dame and her doctorate from Vrije University, Brussels, Belgium. As director of operations, Taylor will be responsible for developing infrastructure and programs to support the goals of the institute, which include serving as a central point for coordinating global health activities across the university; advancing research and knowledge that addresses health problems endemic to the global poor; training a new generation of global health researchers, including Notre Dame undergraduates, graduate students and postdoctoral fellows to assume leadership positions in global health; and undertaking service activities in global health. The Eck Institute was established in 2008 and is funded through a $20 million endowment from the estate of alumnus Frank E. Eck and funds from a $9.3 million grant from Notre Dame’s Strategic Research Initiatives program. Originally established as the Vector Biology Laboratory, the Eck Institute for Global Health has engaged in groundbreaking work for more than four decades. The late biologist George B. Craig Jr. and the late biological sciences professor Paul P. Weinstein were Notre Dame pioneers in the field. Craig was one of the world’s foremost experts on mosquitoes and their disease-carrying capabilities. Weinstein, formerly director of the Laboratory of Parasitic Diseases at the National Institutes of Health, founded the Parasitology Research Group at Notre Dame. Weinstein was Taylor’s mentor and one of the most influential figures in her decision to pursue a career in global health. Today, dozens of faculty, staff and students, primarily in the Department of Biological Sciences, but increasingly from other disciplines on campus, seek to alleviate disease, suffering and death caused by infectious pathogens in the world’s underserved populations. Current research and projects are focusing on diseases such as malaria, leishmaniasis, toxoplasmosis, yellow and dengue fevers, tuberculosis, West Nile Encephalitis, and lymphatic filariasis.